FOSSIL BRAND AUTHENTIC,SILVER TONE,WHITE-BLACK STONE, SIZE 5.5 STACK RINGS. 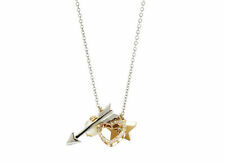 Arrow necklace is 17" with a 2" extender chain. Bow necklace is 16.25"with a 2" extender chain. 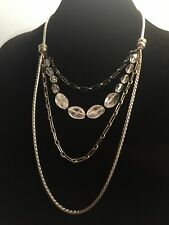 Fabulous new 2 in 1 necklace set fromFossil. 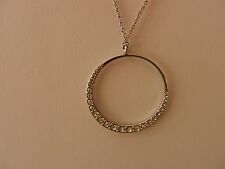 Stainless steel necklaces. One with a silver tonebow and the other with a gold tonearrow. 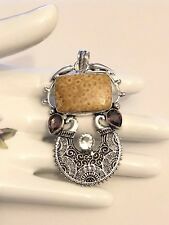 Nwt Fossil Silver Stainless Steel Butterfly Pave Stones Pendant Necklace 21"
Nwt Fossil Butterfly Silver Tone Pendant Necklace. Clear Pave Stones stones towards top front of Butterfly. Stainless Steel Butterfly Pendant. Beautiful open work Butterfly in front and back. Butterfly Approx. 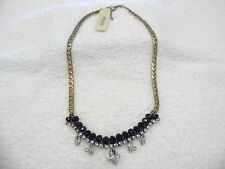 100% AUTHENTIC NEW FOSSIL SILVER GOLD 2 TONE,ROYAL BLUE GREEN STONE,CRYSTALS NECKLACE-JA6274710. Stones: Crystals. Nickel FREE . Main stone:Mystic Topaz & White Zircon. 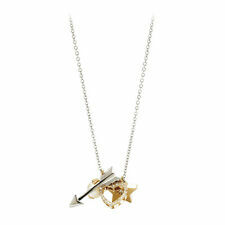 Jewelry Type:Charm Necklace. Chian Length:45 6 cm. Conditon : 100% New. 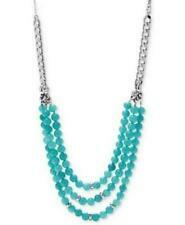 EDC by ESPRIT necklace Collier 4400178. · Included: Fossil necklace, fossil jewelry box and bill. 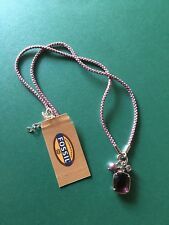 Fossil Ladies necklace chain necklace chain JF83781 JF -50%. Fossil jewelry ladies bracelet Bangle Bracelet 3 piece RRP: 39,90 EUR JF85859 bracelets. 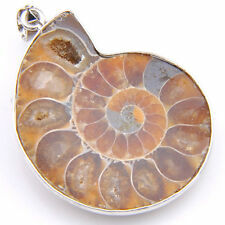 · Included: Fossil necklace, fossil jewelry box and bill. · Anchor chain with lobster clasp. · Jewellery type: Chain. "Li" (lithium) / "Li-ion" (lithium-ion). Guess ladies Bracelet Watch W1240L1 G twist new rhinestone.